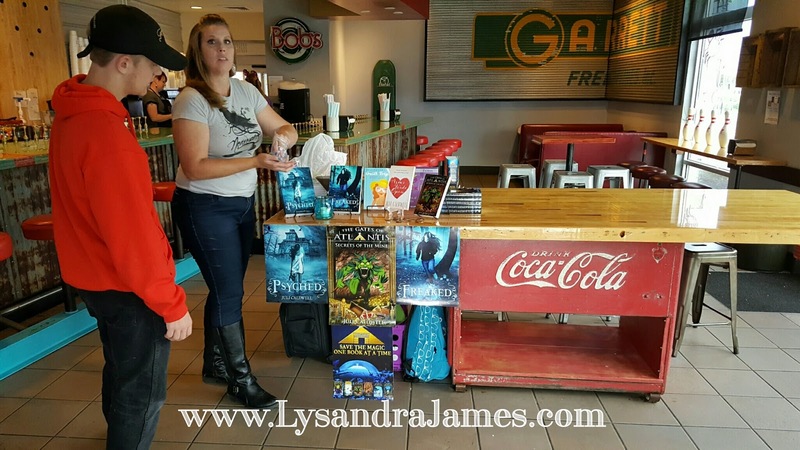 Lysandra James: Fiiz Book Signing! A few weeks ago, I stumbled upon an opportunity I thought too good to pass up. 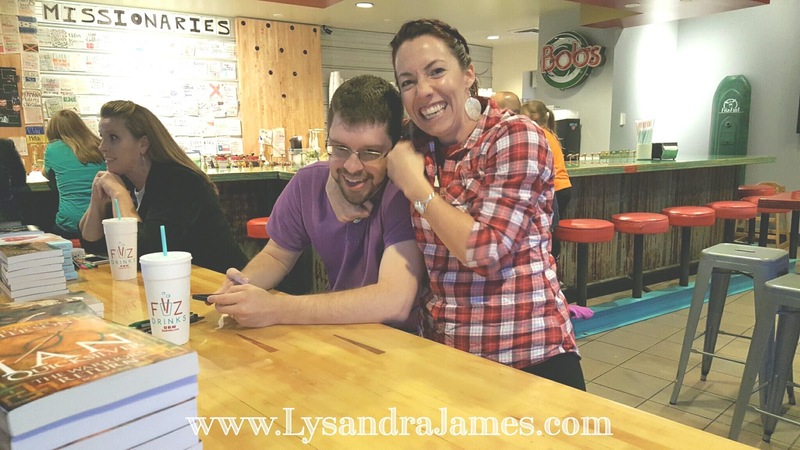 While I was chatting with the employees and manager at Fiiz, my favorite soda shoppe, I came up with the fantastic idea of having a book signing there. It was the perfect fit. 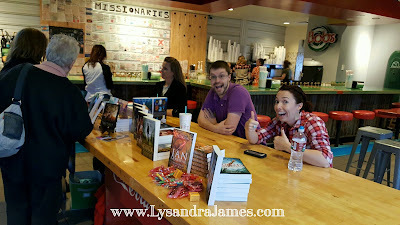 Young adult authors signing books at the neighborhood teen hangout. How could we go wrong? My kiddo (the tall kid in red - stop growing already!) was our slave boy/pack mule/gopher. He was quite good at his job and was paid in a well-earned Fiiz drink. 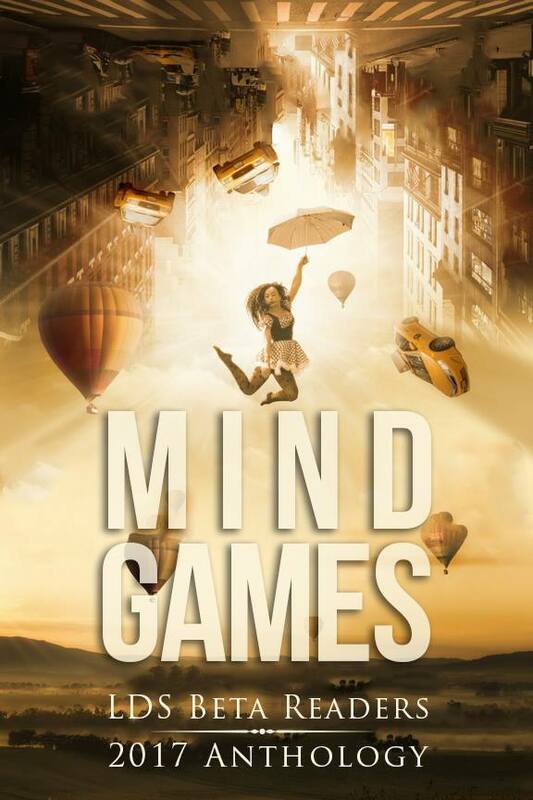 I put the call out on Facebook and three of my Dream Chasers jumped on board. We planned it for the Friday before Halloween to help promote the fantastical and paranormal elements of the stories my Dream Chasers wrote. Dream Chasers Juli Caldwell and Kevin L. Nielsen all set up and ready to go! I'll admit to having a freakout moment since I've never organized anything like that before. BUT everything worked out in the end. 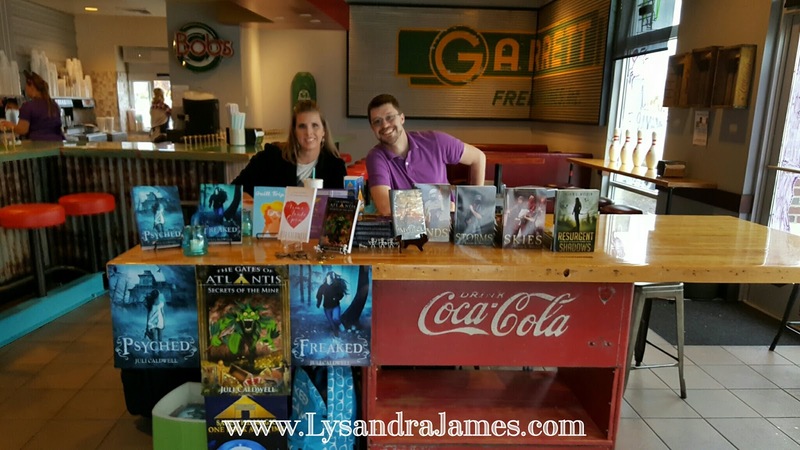 While we didn't have the turnout I had hoped for, books were sold, drinks were consumed, prizes were won, and we had a few laughs. Alyson Peterson beating up on Kevin. I love how Juli is all business in the background. You go, girl! All in all, I'm happy with how it turned out. Any excuse to hang out with my friends, right? They're just happy to see me. Even though I was a slacker and didn't take enough photos. I didn't even selfie with anyone! What's wrong with me? !